I was really shocked to see DC Collectibles releasing merchandise from Super Best Friends Forever and as soon as I saw they were releasing a Batgirl, I knew I'd buy her. Super Best Friends Forever was one of the DC Nation shorts that aired on the Cartoon Network and followed the adventures of Batgirl, Wonder Girl, and Supergirl as the fought villains like Solomon Grundy, Poison Ivy, the Cheetah, and even each other on occasion (such as when Supergirl initially dissed Batgirl's suggestion of SBFF as their team name or when Wonder Girl wouldn't let the girls take the invisible jet out for a spin). Each of the five one minute and 16 second episodes were created, written, and directed by Lauren Faust of My Little Pony: Friendship is Magic and The Power Puff Girls fame, so you know that Super Best Friends Forever is colorful, exciting, and hilarious. It has a humor that seems quite broad and should appeal to both small children and older fans who can appreciate a different take on these super women. I really wish it had been picked up as a full length cartoon as it's quite good. Enough about the show, however; let's talk about this PVC figure released by DC Collectibles! Batgirl is a non-articulated PVC figure that stands about 5 3/8th inches tall from the bottom of her feet to the points on her cowl. The figure is attached to the lid of a "super secret storage box" that functions as a base. The base/ box is just a little under an inch and a 1/2 tall. The design of this figure is heavily stylized and looks like it was pulled right from the animation, particularly a specific scene from this episode. In case you're wondering, Batgirl is voiced in the show by Tara Strong who not only voices Twilight Sparkle in MLP:FIM but also voices Batgirl in Beware the Batman, Teen Titans Go, The New Batman Adventures, and Batman Beyond: Return of the Joker. The figure comes in a nice window box with various pictures of the figure on it along with a design credit for Lauren Faust and a sculpting credit for Irene Matar. I did mentioned that Batgirl is not articulated at all, but fortunately she's got a great pose. Remember how I talked about the difficulty of coming up with a good Batgirl pose the other day? Well, I think this one is fantastic. It both captures the crime-fighting side of Batgirl while also retaining a sense of fun. Another nice feature of the statue is that it features three swappable portraits to give Batgirl three distinctively different expressions. There's a silly, oversized grin, a sly smirk, and a sweet smile with batting eyes. The portraits swap out easily and all share the same hair piece, so that piece gets swapped around too. Be really careful that you don't push too hard on the neck; you don't need to, first of all, and it is somewhat thin. I like the sculpt as it really captures the animation style of the show. It can be really difficult to express unusually shaped two dimensional characters in three dimensions well but I think Batgirl is a solid effort. There's not much detail on the figure, matching the minimalist animation style, but the proportions seem accurate: thin limbs, minute feet and hands, and a large head with exaggerated eyes all give the character a distinctive appearance. As far as I can tell, all three of the heads are the same sculpt with paint work providing differences in the the facial features and expressions. The eyes are sculpted and raised from the face to really give Batgirl that bug eyes look from the cartoon. For the most part, I like the paintwork. First, it's purple and yellow which is a color combination I love on Batgirl. This one has a lavender colored suit with daffodil yellow colored extras like the boots, gloves, cape interior, utility belt, and bat symbol ( and no I'm not that good with colors- I used a color chart I found). The mouths are pretty neat for the most part although I do think the closed mouth smile portrait is a bit off. There's also some paint issues around the eyeballs- the color separation between the whites of the eyes and the purple cowl need to be a bit cleaner to really pull off the animated effect of enormous eyeballs. I like the painted on eyelashes, however. You can definitely count Batgirl's extra portraits as accessories but what about her "super secret storage box?" Yes, the figure can be lifted up to reveal a small storage area. It's not an accessory, really, but a neat feature that initially seems a little odd, as if it were designed for kids to store trinkets in. Where in the world are most kids going to find DC Collectibles stuff? Still, I love little storage spaces! Besides the extra portraits, maybe I'll put some accessories from other Batgirl action figures in there to keep them from getting lost. On top of her base (and thus on the lid of the storage box) is a transfer of the Super Best Friends Forever logo. I really like this little statue. It's fun and definitely a unique DC/ Batgirl collectible. I don't imagine we'll see much merchandise from Super Best Friends Forever so fans wanting to add these particular versions of Batgirl, Wonder Girl, and Supergirl should probably jump on these (and yes, Wonder Girl and Supergirl are available in this line as well). I really like the swappable heads and the presence of a storage box (it's just so random and fun), so both of those things in addition to a nice sculpt that captures the animated appearance of the character really appeal to me. I do wish the paint on the eyes was a bit better, but it's not as noticeable in person as it is in pictures. I'm giving this a Great rating and I hope these are a sign that DC Collectibles is willing to do more unique projects like this that tie into a variety of unique DC media expressions. At the beginning off the year I was ready to leave DC Collectibles behind due to a long string of quality control issues; now I can't wait for their next release. Good job, team! Now, how about action figures of Batwoman, Batwing, and the Red Hood? If you want to pick up the Super Best Friends Forever Batgirl, Wonder Girl, or Supergirl, head on over to Big Bad Toy Store today!  Tell them your friends at The Epic Review sent you. Because you know we're totally SBFFs, right? I like the different heads that it comes with.